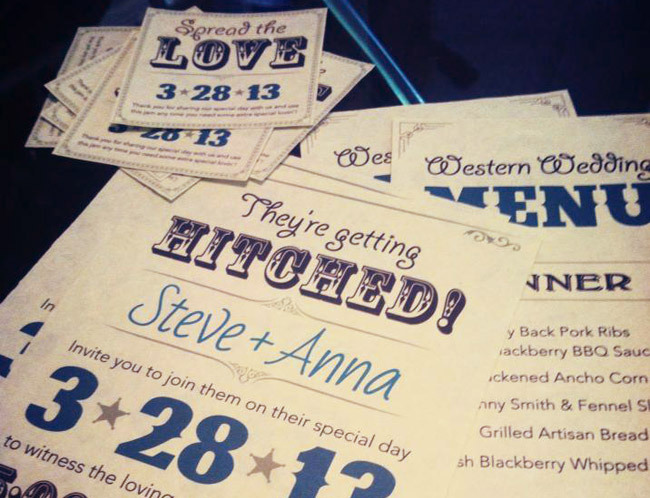 We designed southwestern-themed wedding invitations, menus, jam labels, and signage for a styled photo shoot with Taylored Photo Weddings. The photo shoot was full of great details that recreated a southwestern-style wedding in the Las Vegas desert, bringing together lots of vendors to create a beautiful shoot and a fun day for the couple! 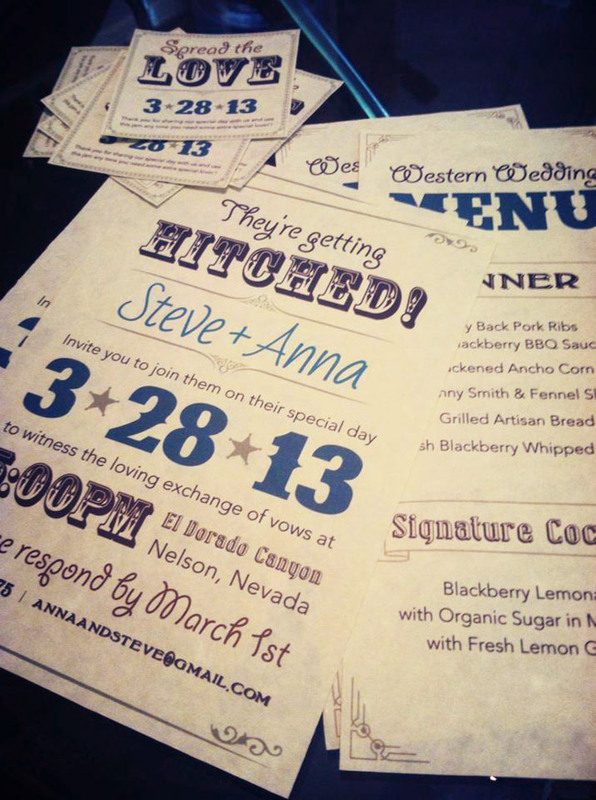 We used a bunch of old-feeling and southwestern-style fonts that created a look and style from the old southwest. The style was playful and fun and we really enjoyed being a part of it!